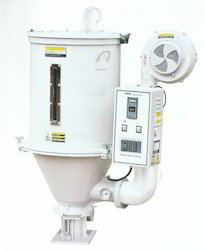 We are a leading Manufacturer of auto vacuum loader and hopper dryer from Ludhiana, India. We have emerged as the foremost manufacturer, supplier and importer of Auto Vacuum Loader. This vacuum loader is primarily used for conveying plastic and related material over the long distance by the motor vacuum. The offered loaders are manufactured as per the international industrial norms by making use of quality approved components. This loader adopts high-speed motor, small volume with strong suction power. 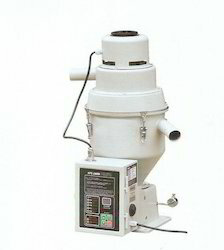 With the valuable assistance of skilled team of professionals, we are offering an extensive quality Hopper Dryer. This dryer is manufactured at our sound production unit using best quality mild steel and aluminum. In mechanical industry, the offered dryers are highly effective for drying plastic materials to absorb extra moisture before molding. Our range is highly praised for their robust construction, low maintenance cost and excellent performance.